Biothane is a waterproof, stink-proof, wipe clean and animal free alternative to leather, with a nylon core for strength. Perfect for swimmers, poo rollers and general mucky pups! Available in 3 widths to fit all neck sizes. 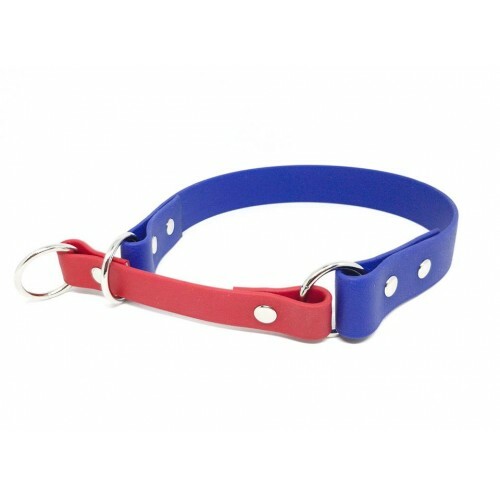 A neck and head measurement is required, collars are not adjustable, the neck measurement given will be the size of the collar when the slip is tight.